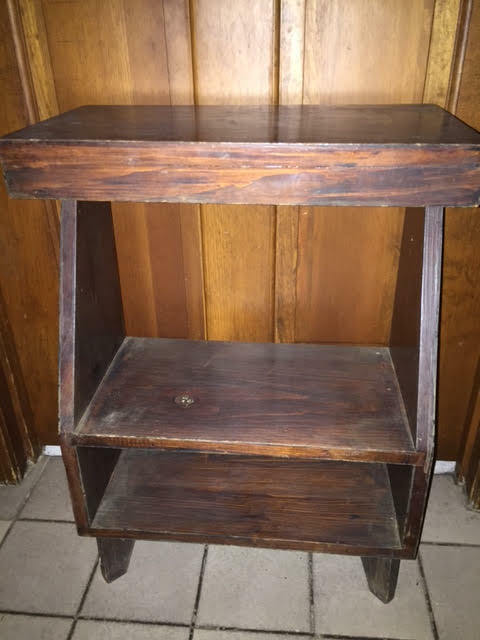 As the title says, here’s a nice little telephone stand / bookcase / end table / what-have-you. It would do well as a bookcase for over-sized coffee table type books or other tall items. There’s a second shelf down below that was probably intended for telephone books. 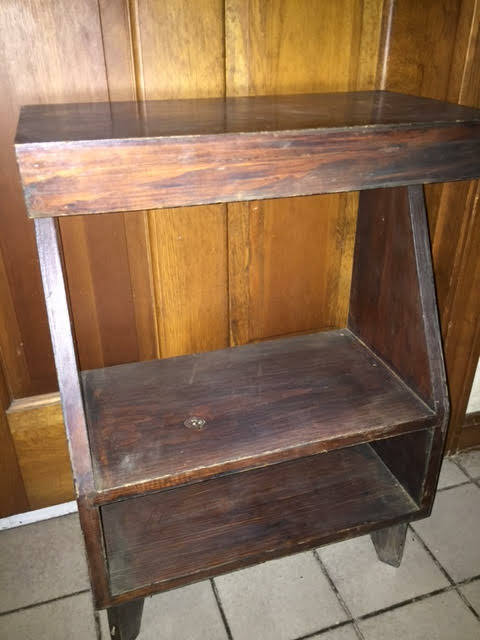 Condition: Very good, but some might want to refinish it or use it for a project piece. Dimensions: 24″H x 16″W x 9″D. 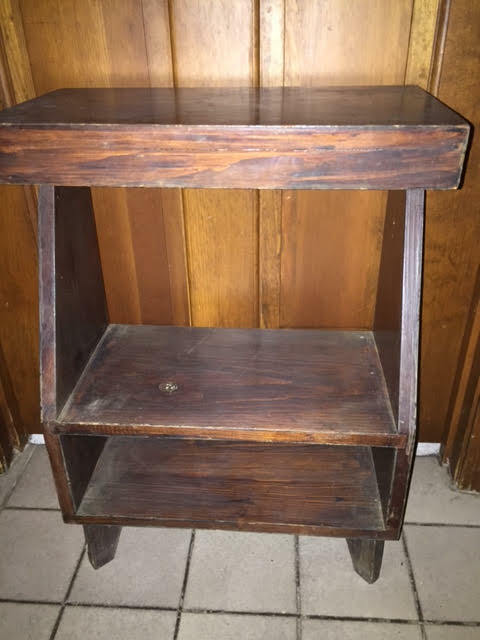 This entry was posted in Furniture - Antique & Vintage, Furniture - Bookcases, Furniture - For Recycling Repurposing and Upcycling and tagged bookcase, end table, Heritage Collectibles, telephone stand, vintage furniture. Bookmark the permalink.